Ooooh, I love this idea, Nicole. I totally want to do this. 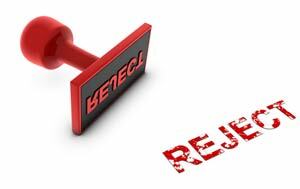 I’ve actually just been “rejected” from ministry at church in a very nice way. I can’t wait to write about that! In a very nice way, of course. Not a submission just a comment. “I am a reject because I have created Christian art that Christians don’t like!” Loving the post. I would be interested in doing this but I was wondering if we can include an author bio at the end of our post that would link back to our website? The reason that I ask is because I’d like to give your readers an opportunity to read my evangelism blog if they are interested.